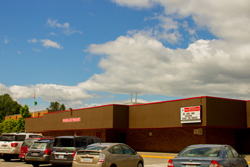 Beginning with the 2019-20 school year, Woodland Primary School and Woodland Intermediate School will transition into neighborhood schools serving students in grades K-4 as neighborhood schools, reconfiguring from their existing grade structure of grades K-1 at Woodland Primary and grades 2-4 at Woodland Intermediate. Yale Elementary will continue serving students in grades K-4. The Woodland Public Schools Board of Directors approved new names for Woodland Primary School and Woodland Intermediate School during their regular board meeting on Monday, February 25, 2019. Beginning with the new school year in fall 2019, Woodland Primary School will be renamed Columbia Elementary School and Woodland Intermediate School will be renamed North Fork Elementary School. Yale Elementary School remains unchanged. The Board of Directors thanked all those who participated in the Name Your Schools Campaign for helping to develop and choose the new names of the reconfigured schools. from the menu on the upper left. 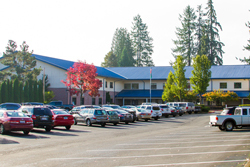 jacobsoe@woodlandschools.org or by calling the district office at (360) 841-2700.